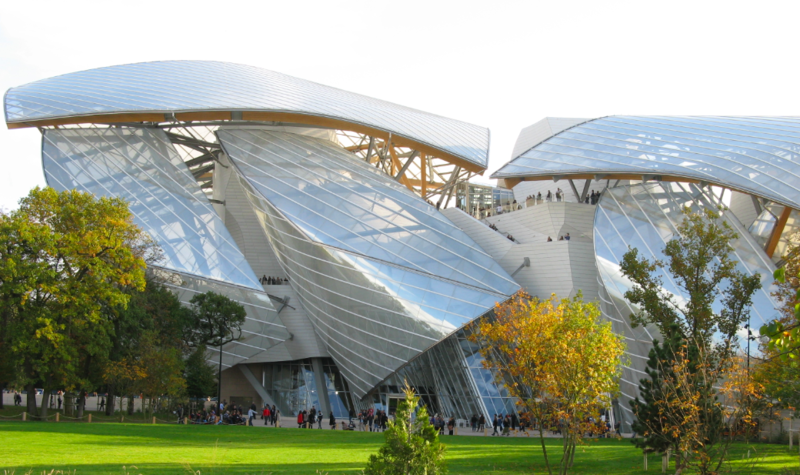 The Louis Vuitton Foundation stages the Courtauld Collection until June 17th. Discover more than 110 impressionist art works, some unknown to the public! The hotel Raspail Montparnasse introduces to you the amazing collection put together by the English industrialist and philanthropist Samuel Courtauld, visible for the first time in Paris. Both crazy and delicate, this building gives an incredible impression of lightness, as if it could fly away and disappear at any time. On the top of it, the large terraces give us an outstanding view over the Bois de Boulogne, Paris, and the skyline of La Défense. The London Collection Courtauld institution, closed for renovation, presents a hundred works of art of famous Impressionists in the Louis Vuitton Foundation until June 17th, 2019. We’ve already seen these paintings, we know them. We studied them at school, saw them in books or on postcards … Thus, you will find there famous paintings such as the “Self-portrait with a bandaged ear” of Van Gogh, or “The Lake of Annecy “of Cezanne. So yes, we already know them, but to really see them feels different, and we really recommend you to try and feel difference for yourself. We particularly think of the painting by Manet, “a bar at the Folies Bergères”. Believe it or not, we never noticed the mirror behind the waitress before! The exchange with the mysterious man, the bottles of alcohol, the spectators on the balcony … A clever mirage that makes you think, much more impressive than pictured in a book!